'This book is packed with heart, energy and hard-won wisdom that will transform your life. 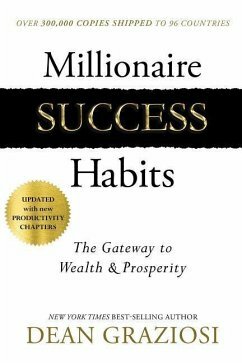 A must-read for anyone who wants to take control of their life.' - Marie Forleo, entrepreneur, author, philanthropist and founder of MarieTV and B-SchoolMillionaire Success Habits is a book designed with one purpose in mind: to take you from where you are in life to where you want to be in life by incorporating easy-to-implement 'Success Habits' into your daily routine. 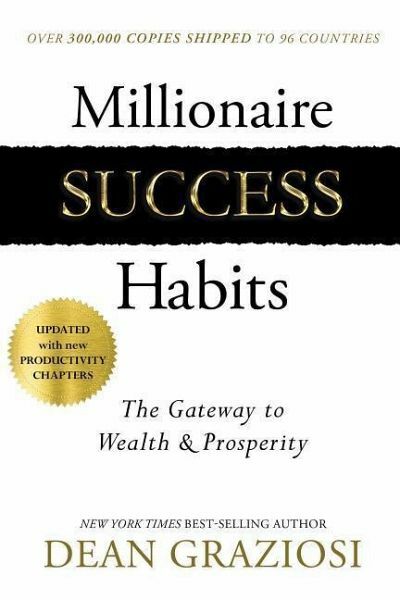 Legendary business coach Dean Graziosi has broken down the walls of complexity around success and created simple success recipes that you can quickly put to use in your life to reach the level of wealth and abundance you desire. This book is not about adding more time to your day. It is about replacing those things that are not serving your future with success habits designed specifically to assist you on your journey to a better you. In these pages, you'll: - drill down deep to identify your 'why' - the true purpose that drives you and the real reason you want to prosper - expose and overcome the 'villain within' that's holding you back - unlock the single biggest secret to being productive (it's probably not what you think) - believe in your own massive potential... so you can make it a reality - use Dean's 30-day Better Life Challenge to catapult you into your new life Now updated with brand-new chapters on productivity and mastering the art of achievement, Millionaire Success Habits gives you the tools you need to radically reshape your daily routine and open new doors to prosperity.